George Arnold was appointed National Coordinator for Smart Grid Interoperability at the National Institute of Standards and Technology (NIST) in April 2009. He is responsible for leading the development of standards underpinning the nation’s Smart Grid. Dr. Arnold joined NIST in September 2006 as Deputy Director, Technology Services, after a 33-year career in the telecommunications and information technology industry. 2005. He served as President of the IEEE Standards Association in 2007-2008 and Vice President-Policy for the International Organization for Standardization (ISO) in 2006-2009. Dr. Arnold previously served as a Vice-President at Lucent Technologies Bell Laboratories where he directed the company’s global standards efforts. His organization played a leading role in the development of international standards for Intelligent Networks and IP-based Next Generation Networks. In previous assignments at AT&T Bell Laboratories he had responsibilities in network planning, systems engineering, and application of information technology to automate operations and maintenance of the nationwide telecommunications network. 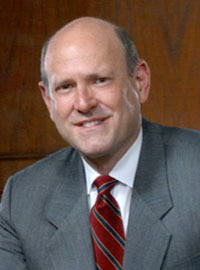 Dr. Arnold received a Doctor of Engineering Science degree in Electrical Engineering and Computer Science from Columbia University in 1978. He is a Senior Member of the IEEE.